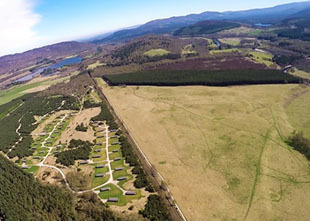 Dalraddy Holiday Park’s modern, insulated chalets all have an outside deck where you can enjoy the spectacular views across Dalraddy Moor and the majestic Cairngorm Mountains. They’re well spread out with plenty of room around them, so you’ll have peace and privacy for your holiday. Every chalet is fully equipped with all the essentials you need to enjoy your holiday including a television and bed linen. All we ask is that you bring your own towels. Prices start from £299.00 for a three-night break and from £572.00 for seven nights. 1 twin 1 Yes Eco-chalet clad in Scottish larch with high insulation and access ramps. You can when you have your own chalet.